Nikita Khrushchev was born on the 15th of April 1894 in a village that is close to the Russian and Ukrainian border of today. During his early adulthood he worked as a metal worker. He joined the Soviet Union and gradually worked his way up in the Communist Party. Initially he supported Joseph Stalin and was sent to Ukraine, which was controlled by the Soviet Union, to lead the country. Upon returning he was then sent to Moscow to work as Stalin’s advisor. Khrushchev took control over the Soviet Union after Joseph Stalin died in 1953. When he led the Soviet Union he was responsible for its de-Stalinization. Essentially, the Soviet Union when through a period of time wherein it began to reflect on the time of Stalin as the countries leader and began to reject or overturn the policies and history of the dictator. As well, Khrushchev aimed to resolve the issue of a divided Germany, which was a result of the end of World War II, and tried to work with powerful countries such as the United Kingdom, and the United States to come up with a peace treaty. What is more, he also changed up the military by reducing the naval forces, and cutting funding for the military. He improved relations with the United States, and was even invited to America for a two week visit during which time the issues surrounding Germany were discussed, but nothing was resolved. However, these efforts did not stop the Cold War which actually got worse during and after Khrushchev’s rule. 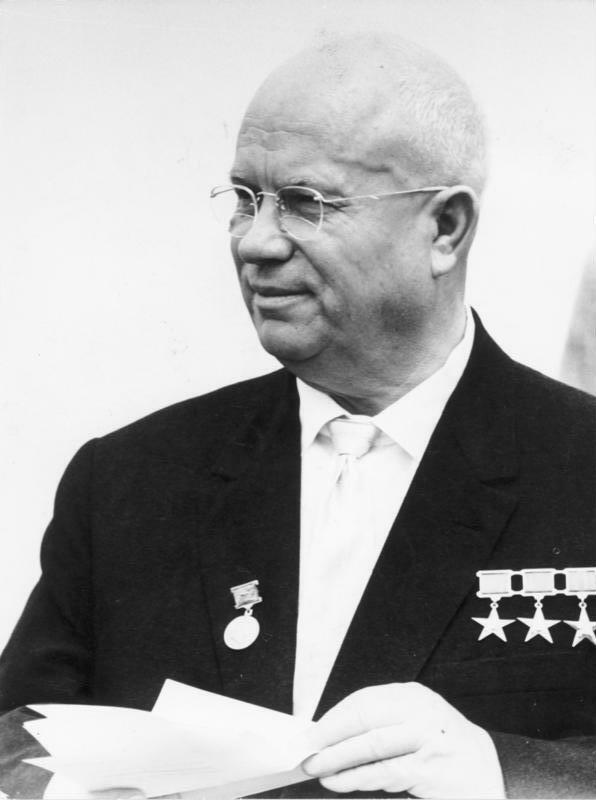 The most significant event that Khrushchev was involved with, during the Cold War, was the Cuban Missile Crisis. This event saw Khrushchev face off against United States President John F. Kennedy in 1962 when the Soviet Union was attempting to place nuclear missiles on Cuba. The event is remembered today as one of the most important moments in the 20th century and Khrushchev played a major role in its outcome. Khrushchev died on September 11th 1971 of heart disease.